Losing brain function over time is something that we cannot avoid with getting older. 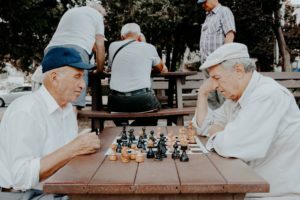 However there are some things that can make our brain age more rapidly and there are some ways to slow down that process and keep your brain fairly young. Unfortunately in our current society a faster cognitive deterioration is on the rise. Some symptoms of impaired brain health include forgetfulness, poor memory, slow reflexes, poor coordination and difficulty focussing and/or completing complex tasks. Alzheimer’s disease is on the rise and over the next few years the disease is expected to triple. After more than 25 years of research there is still no cure for Alzheimer’s disease on the horizon, because of it’s complexity. And when somebody has a severe form of Alzheimer’s the damage that is done is actually incurable. Alzheimer’s already starts 30 years before any symptoms are recognised. It affects 50% of people over de age of 85. So loss of severe cognitive function of the brain like Alzheimer’s is something that we need to slow down in an early stage. The best prevention is to decrease illnesses that increase the risk of Alzheimer’s like: obesity, heart disease, diabetes, depression and sleep apnea. Luckily there are simple steps you can start taking today to help you prevent the above mentioned diseases and increase your brain health. Did you know that as your weight goes up, your brain size decreases and with that your ability to think and reason goes down? And did you know that your brain uses 25% of the calories you consume? This makes it the most metabolically active organ I our body. This knowledge should have you rethink what you put in your body right away. Those cookies that are so good but full of sugar? Guess what they do to your brain! 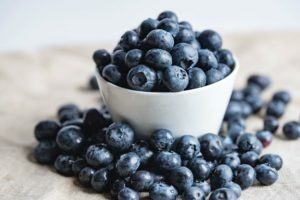 Research has shown that a diet rich in vegetables, fruits and healthy fats and low in processed foods slows down the progression of cognitive decline in older individuals. Foods like blue berries, walnuts, avocado, cauliflower and greens may help cognitive function. Being physically active helps improve cognitive function at any age. But for older adults this becomes even more important. Exercise not only lowers risk of obesity, heart disease and depression, it also boosts memory and coordination. Participation in social activities among the elderly has a neuroprotective effect. This reduces the likelihood of cognitive impairment. So get out there and spend time with others and actively participate in groups. Go visit your friends and family or join a social club. Even better if you combine being social with an art like dance, learning to play an instrument, or painting. These creative outlets keep your brain challenged and help reduce memory loss. Sleep plays an important role in your brain’s health. Consecutive sleep gives your brain the time to consolidate and store your memories effectively. It is important that you try to get seven to eight consecutive hours of sleep per night. Sleep apnea is harmful to your brain’s health and may be the reason why you may struggle to get consecutive hours of sleep. Talk with your health care provider if you or a family member suspects you have sleep apnea. 5. Start a meditation practice or practice religion. Practicing religion, a spiritual practice and/or meditation have been positively associated with a reduced risk of cognitive decline. Try to find what works for you.